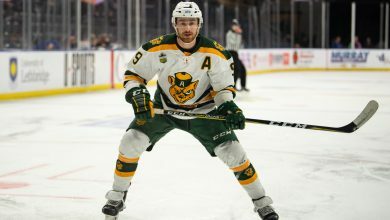 After starting the season with a close win and a blowout loss at UBC, the Bears inconsistent play continued as they split their weekend series with the Winnipeg Wesmen. In the team’s home opener Friday, the Bears took a 34-30 lead after the first half, but couldn’t hold on as Winnipeg came back to win 71-60. The Wesmen rallied behind a third quarter where they outscored the Bears 23-14, and they never looked back from there. Fifth-year forward Jelane Price led the visitors with 21 points on the night. Third-year guard Mamadou Gueye led the Bears with 21 points and 11 rebounds for his first double-double of the season. 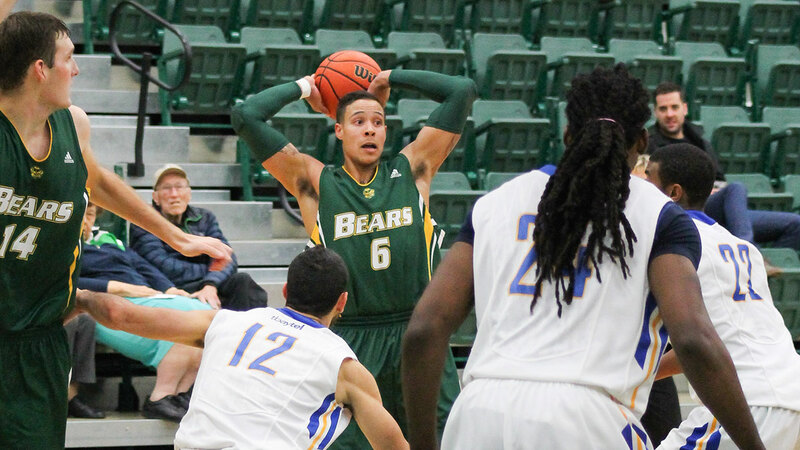 Saturday’s game showed the Bears in much better form, handily beating the Wesmen 79-67. The team took a lead early on, and never let it go en route to their first home win. Bears coach Barnaby Craddock credited the team’s improvements between games to their mindset. The team rallied around an excellent performance from first year guard Colby Jackson, who poured in 21 points, five made three-pointers, and six assists. “We’re better when he’s on the floor and he’s had a couple really good games for us, like when we beat UBC the previous weekend,” Craddock said of the point guard. The Bears also benefitted from a strong performance by sophomore Sebastian Denault. The La Prairie Quebec native poured in a double-double, racking up 12 points and 13 boards. Alberta was in complete control of the game through three quarters, as they held a 24-point lead heading into the final quarter, but had that lead shortened by a late rally from Winnipeg. “I was disappointed. we wanted to put together 40 good minutes, but they outplayed us for a good chunk of the fourth quarter. We’re young and a little inexperienced, so hopefully we can learn how to shut the door in those scenarios and play for the full 40 minutes,” said Craddock. 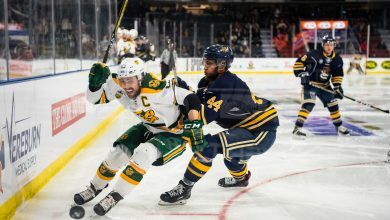 This weekend’s games brought the Bears to 2-2 on the season heading into their road matchup with the University of Manitoba Bisons this coming Friday and Saturday. For Craddock, the key to winning those games will be to keep building and improving as a team. The Bears will take on the Bisons on Friday, Nov. 20, and Saturday, Nov. 21.